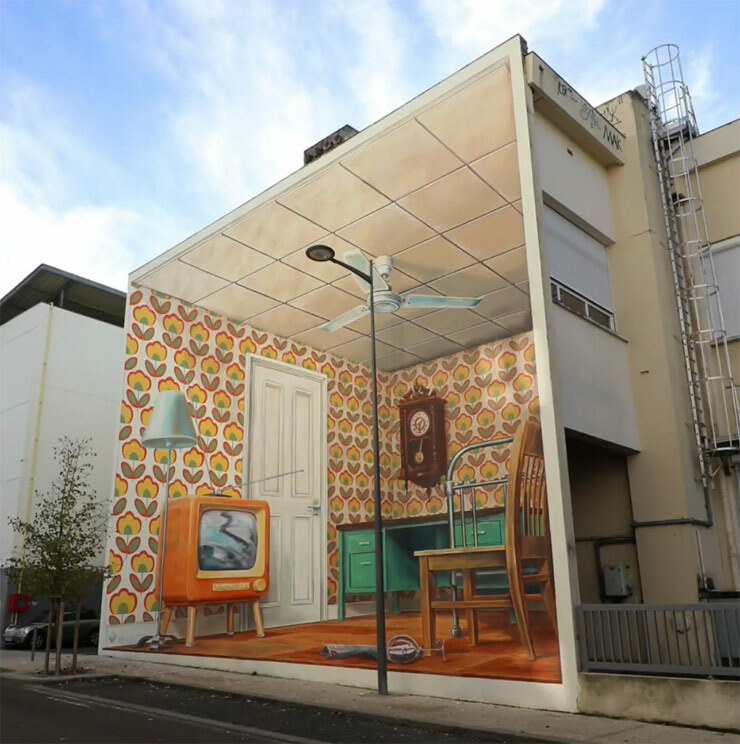 Street Artists continue to embrace new technologies as we race toward our own version of Huxley’s Brave New World. Personally, we’re still looking forward to the sleep-learning. 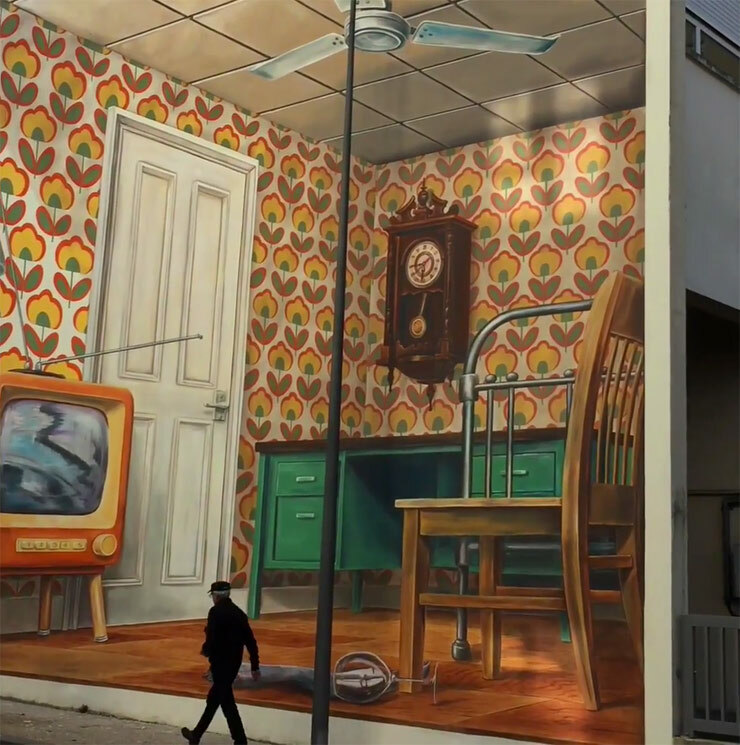 Anamorphic artist Leon Keer suggest you download his app on your phone before walking past his new mural created with Massina using Augmented Reality (AR) in Pessac, France. Otherwise the large piece on the side of an apartment complex will just look like an oversized den. It’s not the first piece he’s done with AR of course, and we have seen a number of works in public space activated within phones and tablets, but Keer is excited because this one is viewable on his newly released APP, title appropriately Leon Keer. 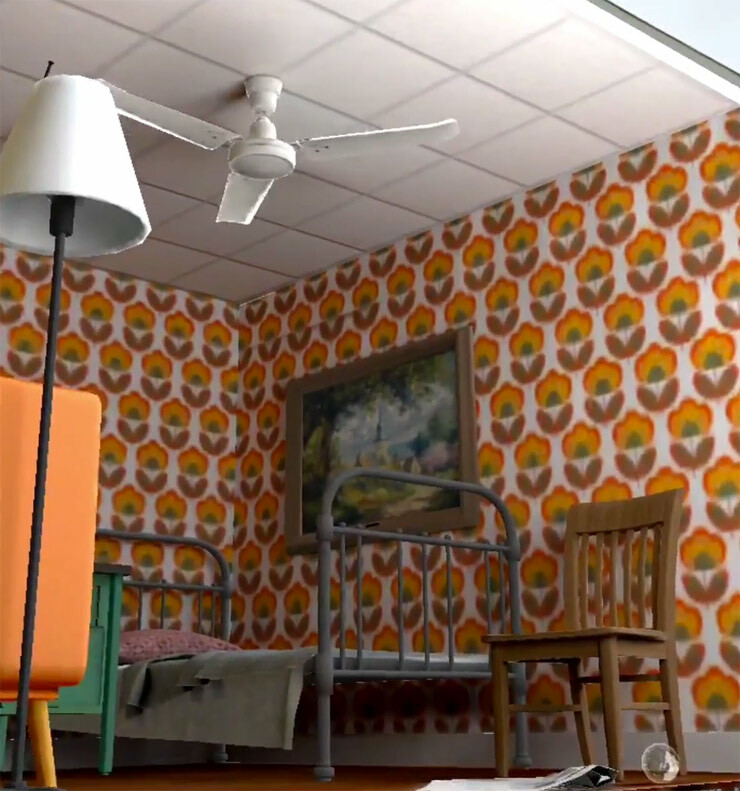 The AR feature is created by Netherlands-based Joost Spek, a 3D Art Director for 3Dpicnic. They’ve worked collaboratively previously and you can expect more from this duo in the future. 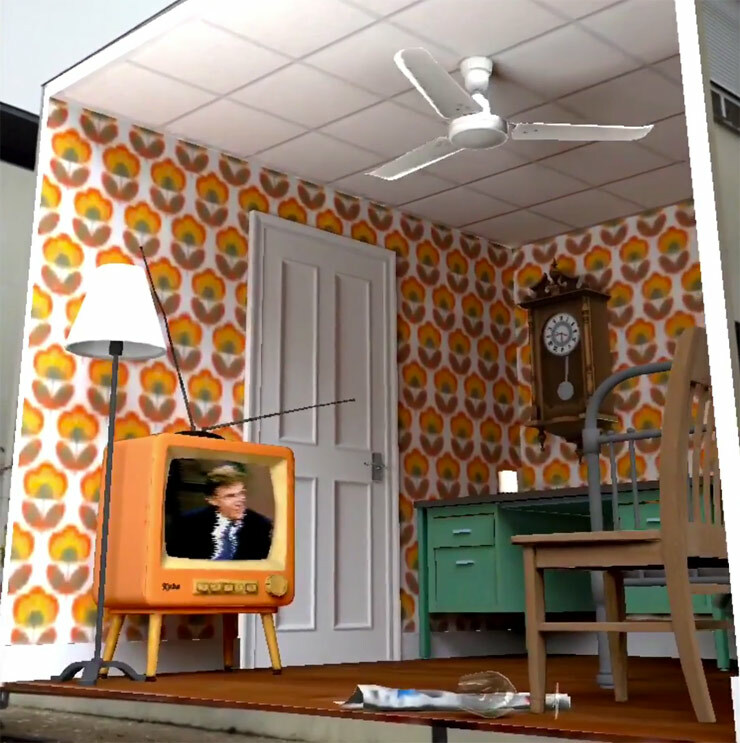 To get the full effect of “Once Upon a Time”, check out the installation in AR on the video below.